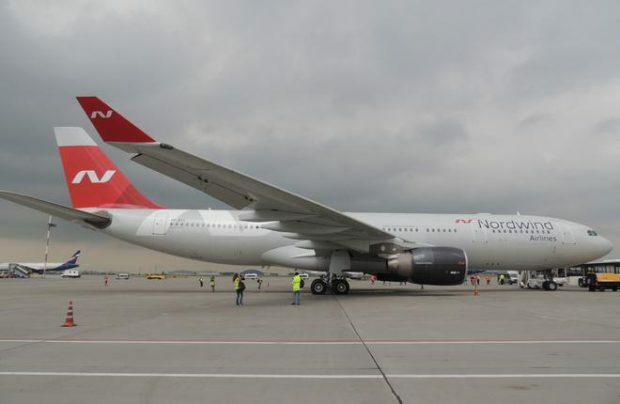 Russia’s Nordwind Airlines will put its two recently received Airbus A330-200 widebodies into revenue operation by the end of next week, Marketing Director Alexander Sukhorukov has told a news conference. Sukhorukov added that the airliners’ first flights will be to Irkutsk and Khabarovsk. The addition of the two aircraft (VP-BYU and VP-BYV) is part of Nordwind’s fleet and route network expansion strategy. Fitted with 279 seats in two-class cabin configuration, the six-year-old aircraft were both previously operated by TAM Linhas Aereas and Turkish Airlines. Nordwind says it offers the widest route network from Simferopol in Crimea, with flights to 25 destinations across Russia. After the end of the seasonal flights to Crimea the airline plans to start routing its scheduled flights through Moscow to provide connections with popular leisure destinations abroad for passengers traveling from Russian regions. The Airbus A330 is the fourth type of aircraft in the carrier’s fleet after the Boeing 737, Boeing 777, and Airbus A321. Nordwind is one of Russia’s 10 largest airlines by traffic. In the first five months of 2017 it carried 518,800 passengers, up 112.6% on the same period last year. The carrier’s route network comprises over 85 destinations across Russia and beyond.